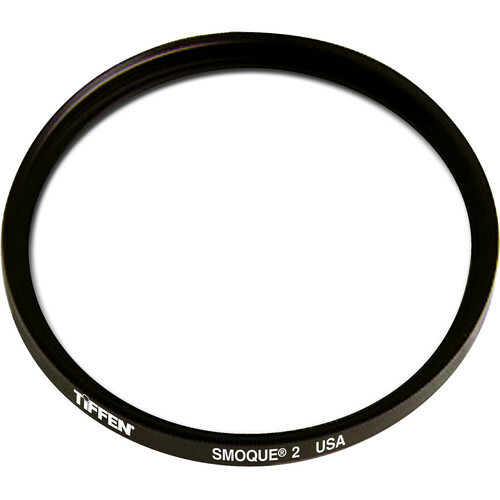 The Tiffen 86mm Coarse Thread Smoque 2 Filter is a unique diffusion filter that provides a smoky, hazy quality to your images, emulating the effects of a smoke or fog machine. This filter is ideal for use in situations where smoke could typically be encountered, but is not available or present. The 2 density provides more smoke effect than the 1, but less than the 3.